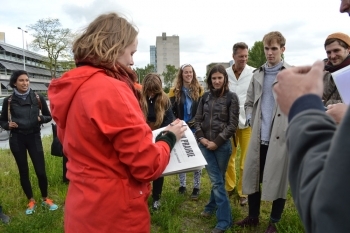 The New Prairie is a research project concerning a field located in the south of Amsterdam. Resulting in a local newspaper and a website, the project followed the developments of the field as well as staging several performances by the artist. 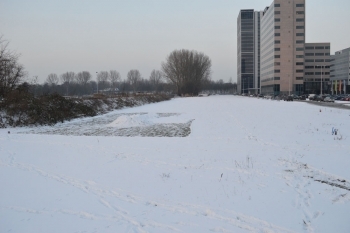 Going from what was initially discovered as a green field in December 2012 to a construction site in March 2014, the project investigated the conditions of the field and how they changed over time. The newspaper, published in May 2013 and distributed in the neighborhood around the field, reported on the first discoveries, as well as telling about the artist's activities of snow shoveling and seed planting. 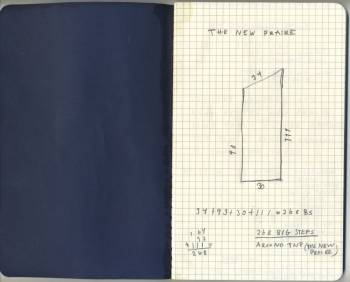 The website The New Prairie, established in March 2014, followed weekly the construction work at the field in the Weekly Report, tells the story of the project in A Year in Review and hosts a collection of findings in the Data Bank.